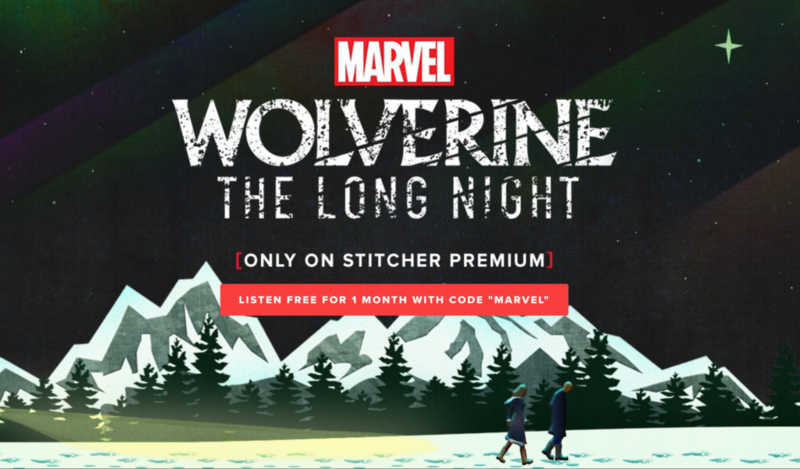 Marvel and top podcast listening service and content network Stitcher (“Heaven’s Gate,” “Katie Couric,” “The Paris Review”) released the first two episodes of “Wolverine: The Long Night,” Marvel’s highly anticipated first-ever scripted podcast exclusively on Stitcher Premium today. The 10-episode series will continue to air weekly on Stitcher Premium and see a wide release across all podcast platforms in fall 2018. In addition to Percy, Stitcher and Marvel have assembled a production team of veterans from both the comic world and podcasting industry, including director Brendan Baker (formerly a producer for Radiotopia’s “Love & Radio”), and sound designer Chloe Prasinos (formerly a producer for Gimlet’s “Reply All”). The series is produced by Daniel Fink of Marvel and Jenny Radelet of Stitcher. The process behind the making of “Wolverine: The Long Night” brings Marvel’s storytelling expertise into the podcasting world, breaking new ground for the medium. To provide listeners a sense of immersion into the story, outdoor scenes were recorded in realistic-sounding locations including forests and a cabin. In the studio, actors were recorded in an ambisonic — or fully surround-sound — environment, allowing them to move, interact with one another and fully inhabit their characters. Stitcher is one of the world’s most popular podcast listening services, with a growing network of original content and a premium subscription service. Stitcher is part of Midroll Media, a leading podcast company that is also home to the Earwolf network and its top-ranked comedy podcasts and the Midroll advertising network, representing over 300 of the world’s largest podcasts. With offices in Los Angeles, New York City and San Francisco, Midroll was founded in 2010 and is a wholly owned subsidiary of The E.W. Scripps Company (NYSE: SSP).